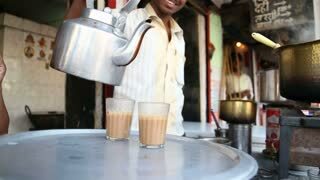 Search Results for "jan 7 to 11"
MUMBAI, INDIA - 7 JANUARY 2015: Man standing in a workshop, taking a bag and pouring its content into a kettle. 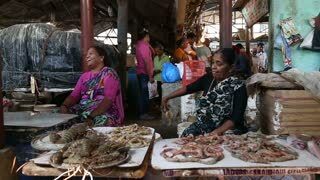 MUMBAI, INDIA - 11 JANUARY 2015: Indian women selling fish at a market in Mumbai. 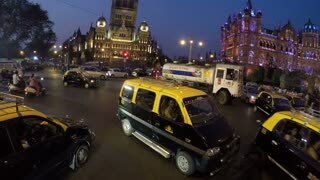 MUMBAI, INDIA - 11 JANUARY 2015: Indian men crossing a bridge in Mumbai. MUMBAI, INDIA - 11 JANUARY 2015: Indian man chopping meat at the butchery in Mumbai. 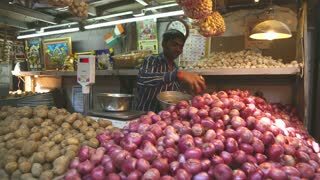 MUMBAI, INDIA - 11 JANUARY 2015: Vendor weighing onions at the street market in Mumbai. 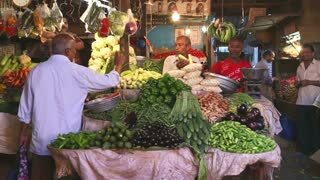 MUMBAI, INDIA - 11 JANUARY 2015: Vendors arranging vegetables at the street stand in Mumbai. 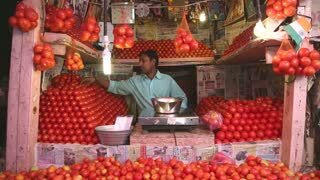 MUMBAI, INDIA - 11 JANUARY 2015: Vendor arranging tomatoes at the street stand in Mumbai. 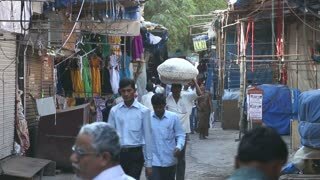 MUMBAI, INDIA - 11 JANUARY 2015: Indian man walking through a narrow street in Mumbai. 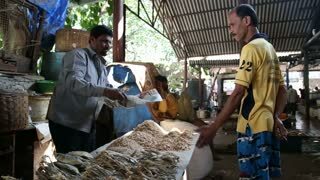 MUMBAI, INDIA - 11 JANUARY 2015: Indian man sorting green beans at the street stand in Mumbai. MUMBAI, INDIA - 11 JANUARY 2015: Portrait of Indian women talking at a market in Mumbai. MUMBAI, INDIA - 11 JANUARY 2015: Indian woman selling fish at a market in Mumbai. MUMBAI, INDIA - 11 JANUARY 2015: Indian woman working at a market in Mumbai. 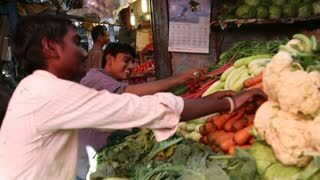 MUMBAI, INDIA - 11 JANUARY 2015: Indian man selling vegetables at the street market in Mumbai. MUMBAI, INDIA - 11 JANUARY 2015: Indian man passing by the vegetables stand at the market in Mumbai. MUMBAI, INDIA - 11 JANUARY 2015: Indian man selling fish to a woman at market in Mumbai. MUMBAI, INDIA - 11 JANUARY 2015: Portrait of a vendor sitting behind a fish stand in Mumbai. MUMBAI, INDIA - 11 JANUARY 2015: Indian woman cleaning shrimps at a market stand in Mumbai, close up. 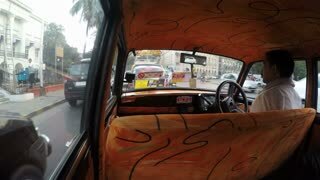 MUMBAI, INDIA - 11 JANUARY 2015: Back seat view of man driving taxi through busy street in Mumbai. 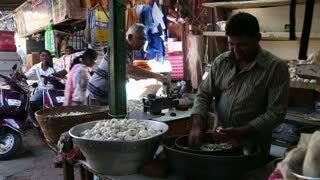 MUMBAI, INDIA - 11 JANUARY 2015: Indian woman selling shrimps while people pass at a market in Mumbai. 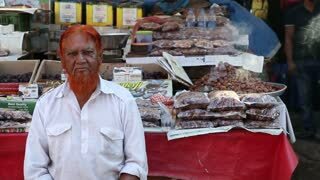 MUMBAI, INDIA - 11 JANUARY 2015: Man with orange hair sitting in front of a street stand in Mumbai. 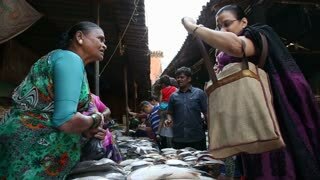 MUMBAI, INDIA - 11 JANUARY 2015: Indian woman buying fish at a market stand in Mumbai. MUMBAI, INDIA - 11 JANUARY 2015: Indian woman working at a market in Mumbai, while people pass by. MUMBAI, INDIA - 11 JANUARY 2015: Cat eating fish leftovers under a stand of market in Mumbai. 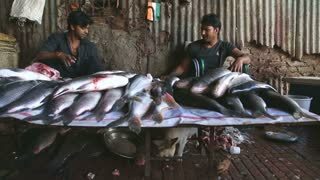 MUMBAI, INDIA - 11 JANUARY 2015: Indian man buying fish at a market stand in Mumbai.